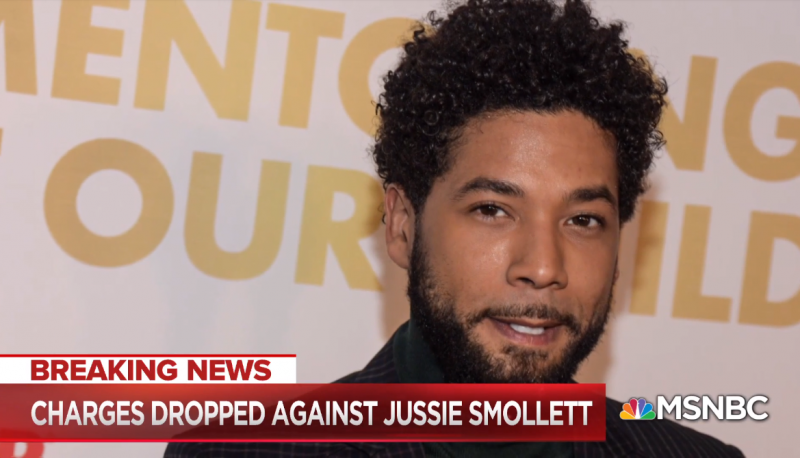 The Chicago prosecutors dropped all charges against actor Jussie Smollett today, sending right-wing media into an apocalyptic meltdown. Upon news that charges against Smollett had been dropped, conservative media—which had spent January smearing Smollett and demanding harsh punishment against him—melted down in anger. There isn’t any rule of law there. PSA: Just because you’ve had criminal charges against you dropped doesn’t mean you aren’t still a piece of sh*t.
I guess he’ll be hitting the campaign trail with Kamala next week. Conservative talk show host Steve Deace echoed a similar sentiment.